The wildly popular HGTV show Fixer Upper wrapped up their third season earlier this week. We didn't have cable until recently, so I didn't even know about the show until season 2 started when I started seeing buzz about it on Instagram, and then I was searching the internet to watch every back episode I could. Although Joanna's style is different than mine, I tune in every week now because I appreciate her amazing talent and she and Chip are just so endearing and fun to watch, not to mention the fact that it's a rare show that our entire family enjoys watching together. Season 3 did not disappoint in jaw dropping makeovers. I went back through and chose just ONE thing from each episode that caught my eye (hard to do!) to share with you today. 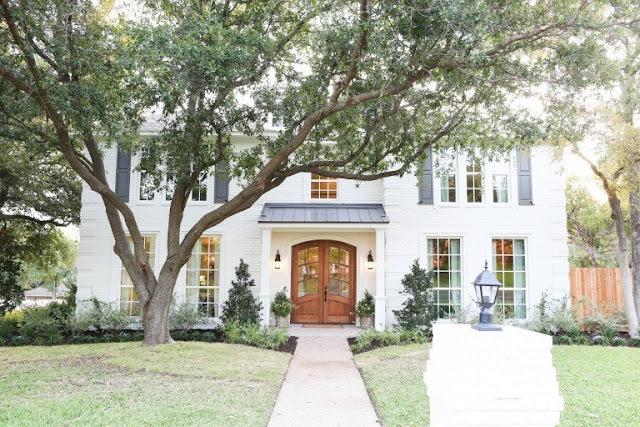 You can view the full home tour by clicking on the link for each episode. 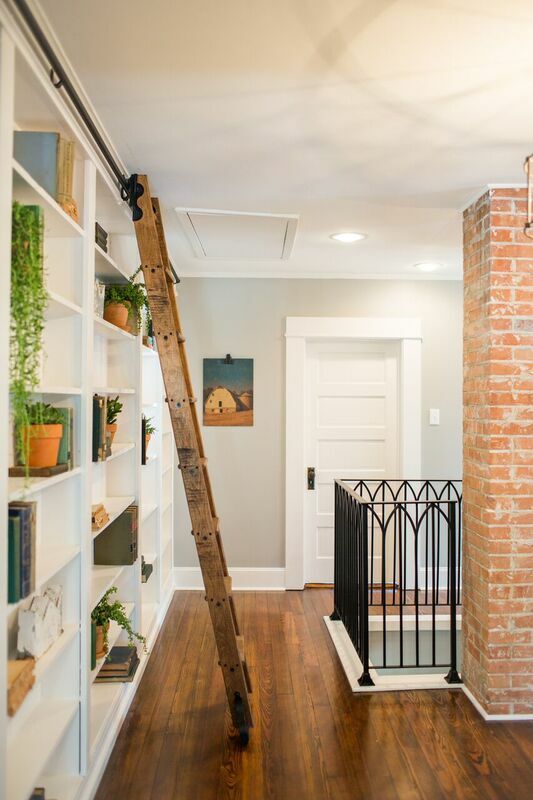 I really loved how Joanna made this landing special by giving it a library feel, complete with a rolling ladder! And, how pretty is that railing? The built-in bookcases flanking the fireplace provide the perfect focal point for the room. 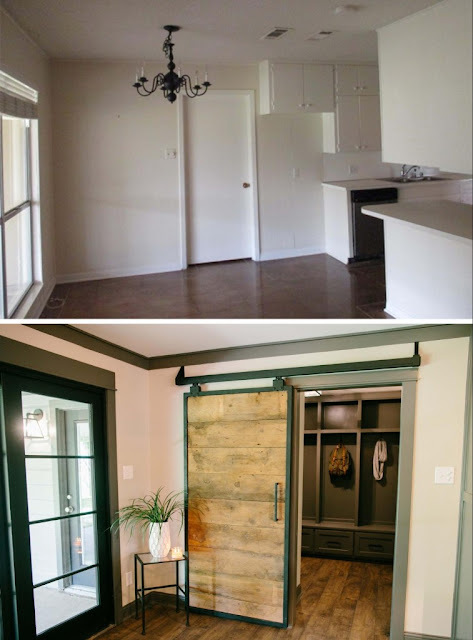 The shelves on the left were original, but they built shelves on the right side as well to balance the wall, and added the custom designed doors. The door design is repeated on a built in buffet/hutch in the dining room. No contest, I think this is the best bathroom Joanna has ever done. 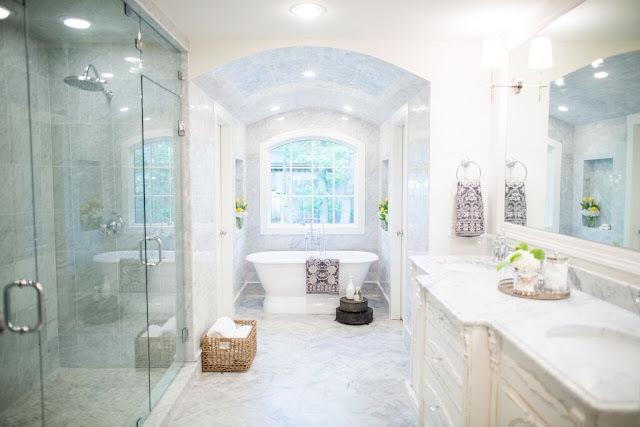 It doesn't hurt that almost every square inch is covered in some form of Carrara marble, but that arched nook (fully covered in marble tiles) is just breathtaking. The built-ins under the stairs are such a smart use of space. 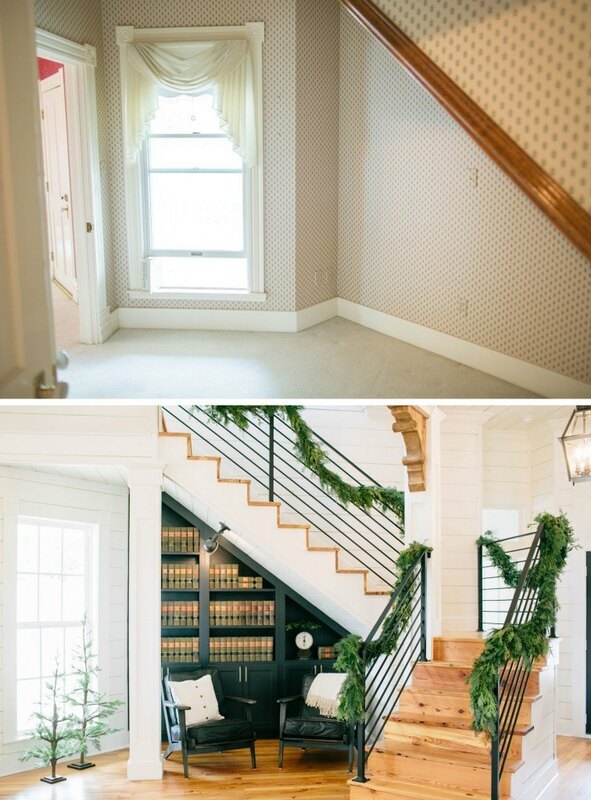 I also love the modern stair rail and the wood corbels. 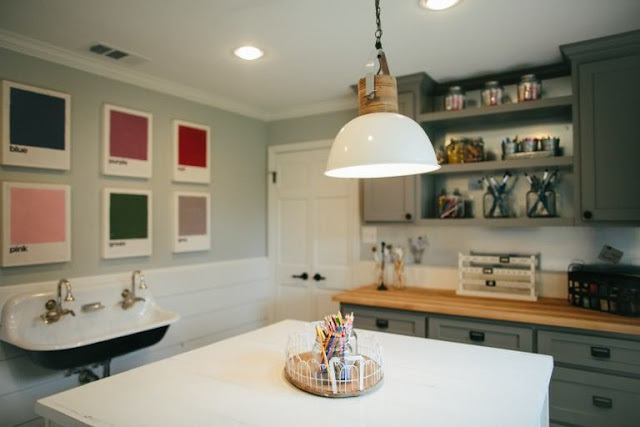 Hands down, my favorite space in this house is the craft room! How cute is the paint sample artwork (that would be a SUPER easy DIY!)? 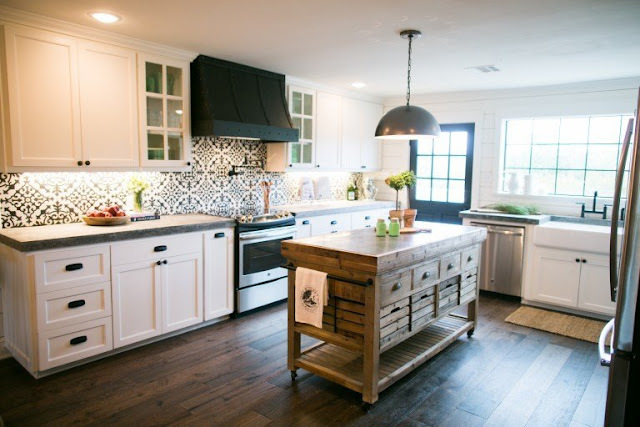 The patterned black and white tile backsplash? Bravo! What a great window in the kitchen, too. 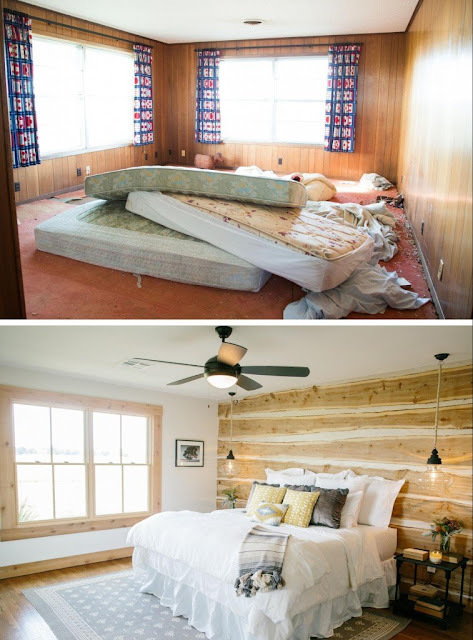 If we were to ever build a cabin in the mountains, I'd want tree slice wall just like this one. 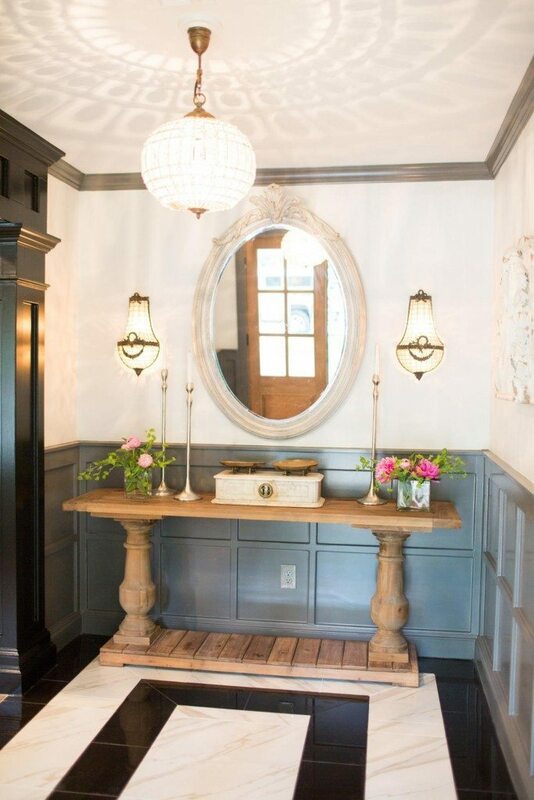 I absolutely loved the crisp, modern look of the tile in the foyer, as well as the chunky black woodwork in the cased opening that you can just see a peek of here. The exterior. Sigh. Absolute perfection. A mudroom was carved out of this space just off the kitchen. 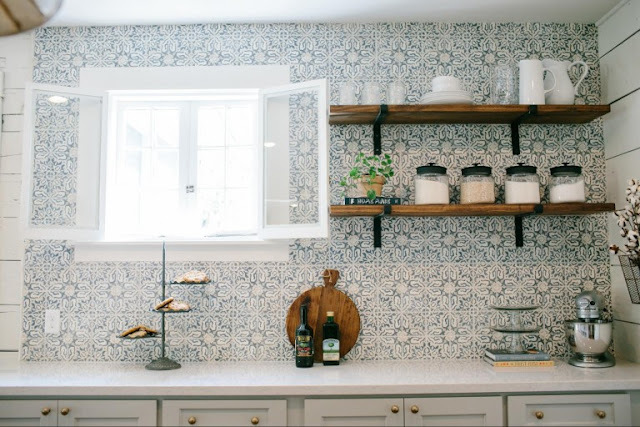 Love the built-ins there, and am hoping to do something similar in my laundry room one of these days. 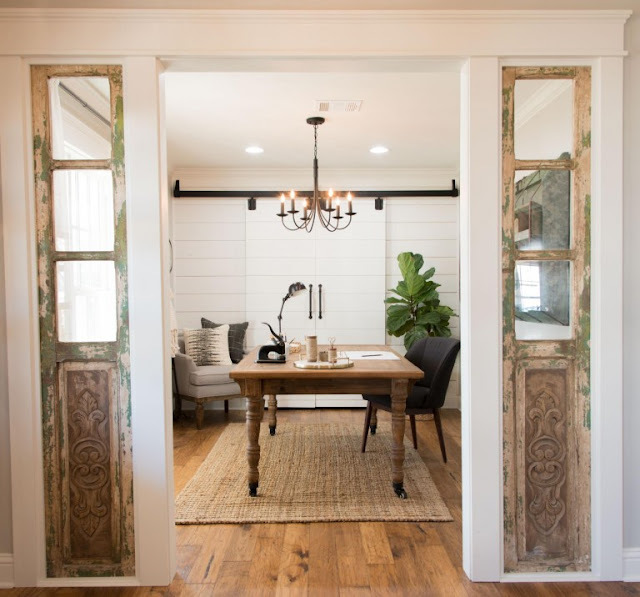 I really enjoy the change up when Joanna leans toward the modern side of her design work, especially like this where it's mixed with just a hint of rustic touches. The giant bar/island. I do appreciate a high bar top in an open concept design to help hide the mess in the kitchen. 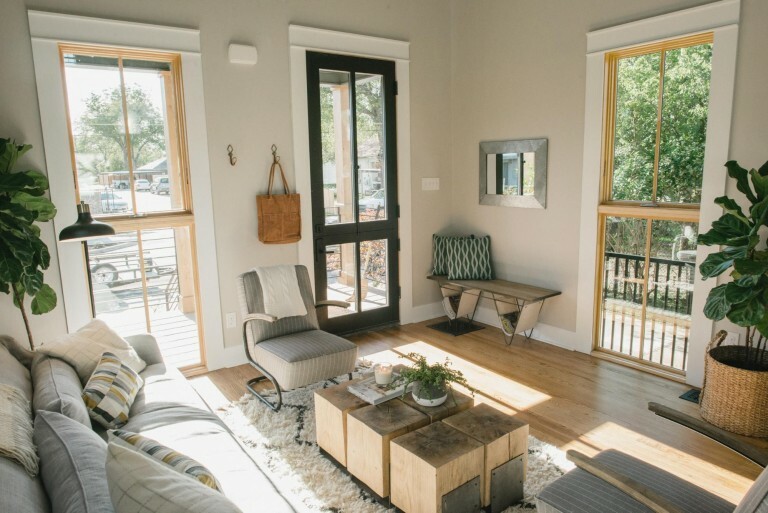 I like the contrast of the natural wood trim on the windows, and it's interesting that they go all the way down to ground level. Again, the exterior. It's darling and charming. I actually had a hard time picking a favorite feature to share in this one, it's full of good stuff! 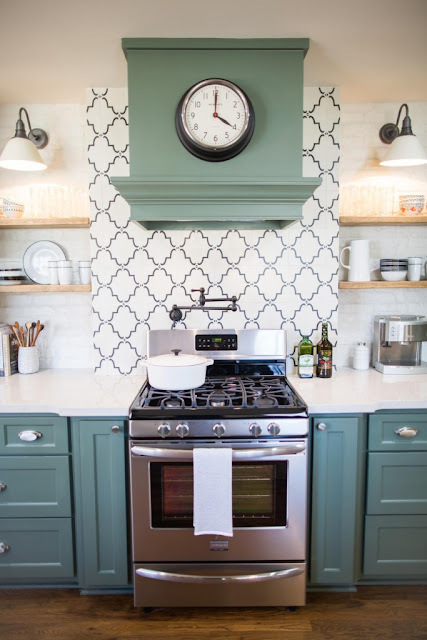 The black and white tile backsplash and the green cabinets are both fun unexpected elements in this kitchen. I like how Joanna incorporated these old doors to add character and separate an office from the living space, while still giving an open feeling. 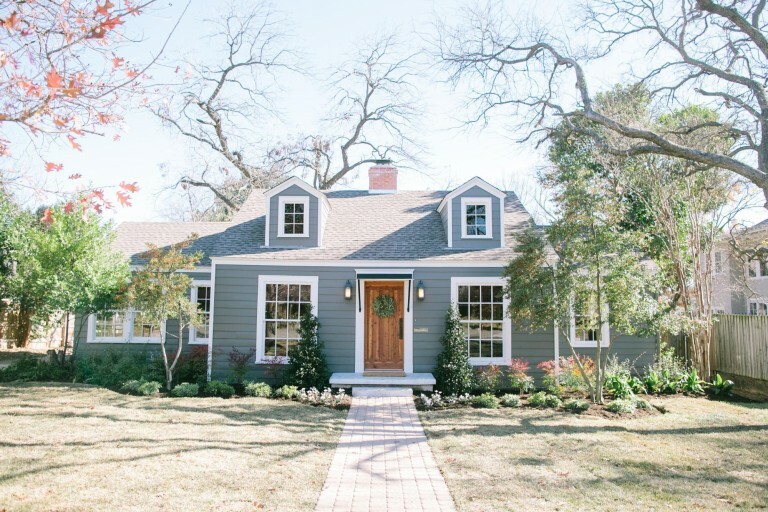 What was your favorite home this season? Or do you even watch Fixer Upper? We don't have cable but I discovered season 1 on Netflix and finished it up last night. Can't wait for them to add more episodes. Joanna's design style isn't the same as mine either, but her design SENSE is awesome. She really understands how to open up a space to make it more functional and beautiful. Great post!! 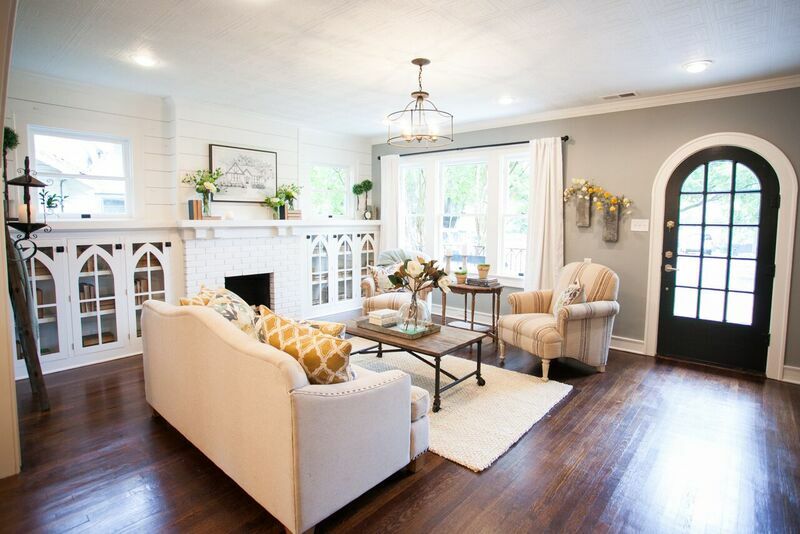 Love watching Fixer Upper... There are not many good choices on network television now so HGTV, Food Network, and Cooking Channel are my go to choices. Chip and Joanna are so cute and do an awesome job! Oh my gosh, we LOVE this show. My husband is neither handy nor into decorating but he looks forward to evey episode. It's certainly helped my cause for helping him see why things need updating! Thank you Fixer Upper! It's so funny because "Joanna would approve"....has become a favorite phrase between my friends when we are shopping décor things! Great recap! I think Chip and Jo have gotten better and better with each season. I have heard a few people remark that she does the same things over and over, but I don't think that's the case. I think she strives to outdo herself time and again. This past week, she incorporated more copper and I just loved it!!! Such a great post - I haven't seen all these episodes yet and you have whet my appetite! I love to watch them on demand when I'm working on a tedious project (like this weekend's joyful installing of 150 nailheads :) ) Joanna & her team (I'm sure there's a whole design team behind all this) are so talented and Chip MAKES the show. Mark even enjoys watching it with me! 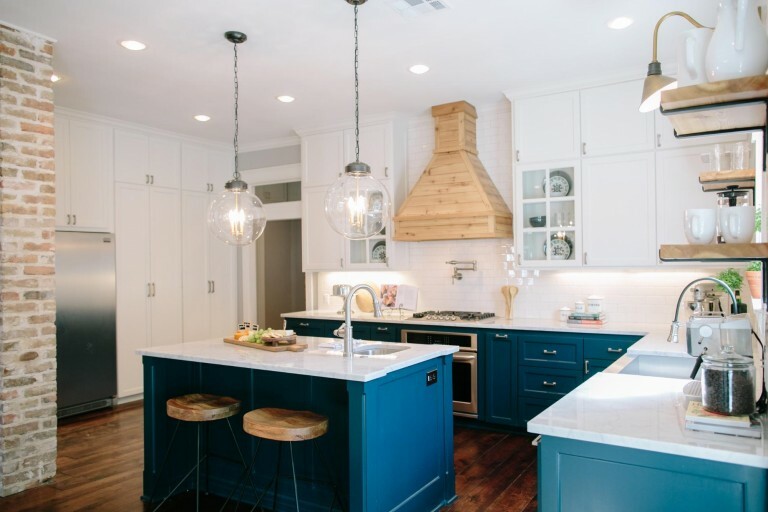 I LOVE Fixer Upper! They do great work and are so cute to watch. 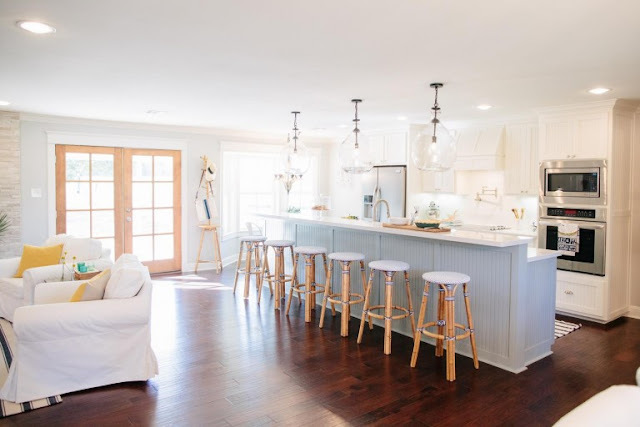 I wouldn't necessarily decorate my house the same way, but I do love how light and bright everything they do looks! Everything they do is magical! I love this highlight view! Jennifer, in looking through this post today, I clicked on a link that showed your daughter's room after you updated it, and discovered that her bed is just like the one my parent's had! I got rid of it after my mother died 7 years ago, and after seeing Emily's bed, I had a pang of nostalgia, and in some ways wish I had not parted with it! 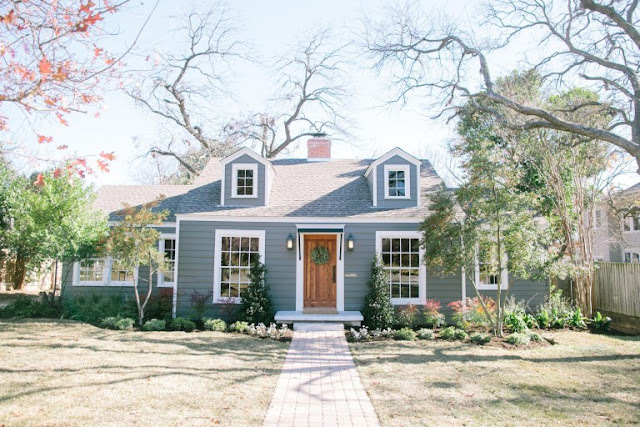 Anyway, thanks for your post of all those wonderful Fixer Upper renovations by Chip and Joanna! This is so great! Hope I can watch them all on demand. 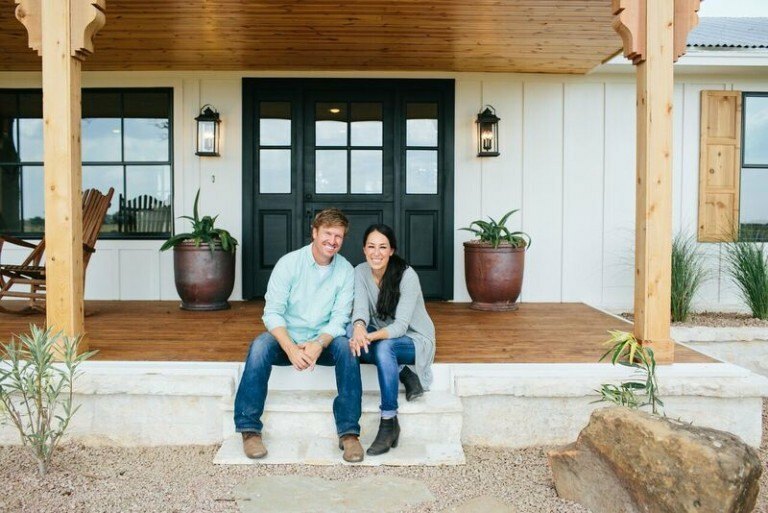 I am totally addicted to Fixer Upper! I really don't watch much TV other than the news except Fixer Upper. It is a sickness! The two that are most memorable for me are the Barndominium...what a transformation and the creativity was unreal. The second was the exterior of the Chip 2.0. Perfection!